after installing the package via nuget and trying to use the same in visual studio 2017, the button does not show the color set and the edges are square, is there anything else that needs to be done? yes, it is installed in the projects of each platform. Perhaps the renderer is being linked out. What are your linker settings? Check out the example project on GitHub. It actually uses the nuget package too! Circular dependency detected ‘SuaveControls.FloatingActionButton 2017.11.27 => SuaveControls.FloatingActionButton 2017.11.27’. 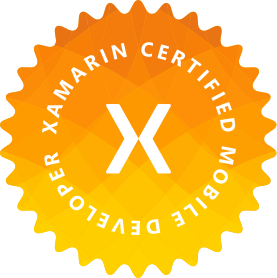 Previous Previous post: Xamarin.Forms BadgeView NuGet Announcement! Next Next post: HackHarvard This Weekend!